- Publisher :This study guide includes questions for review, discussion, and reflection on each of the eleven lessons. Also includes devotional comments and applications of the truths discovered in the book Pilgrim's Progress. 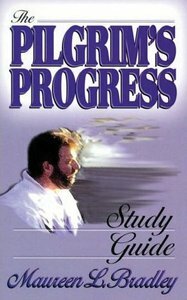 About "Pilgrim's Progress (Study Guide)"
:This study guide includes questions for review, discussion, and reflection on each of the eleven lessons. Also includes devotional comments and applications of the truths discovered in the book Pilgrim's Progress.